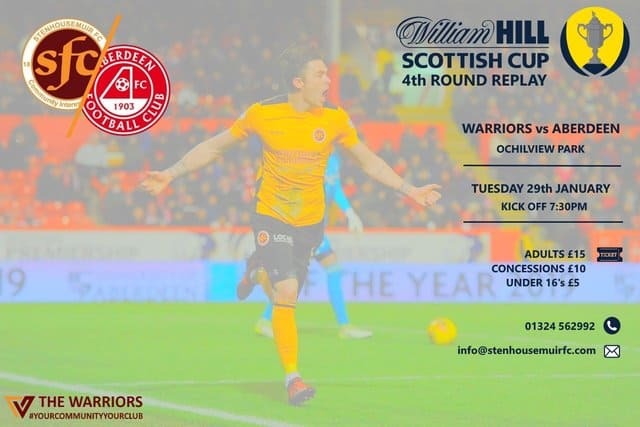 Tomorrows eagerly anticipated 4th Scottish Cup 4th Round replay vs Aberdeen is completely SOLD OUT. We do however have THREE hospitality spaces available. These are the last 3 tickets available for the game so if you have not secured your ticket this is your last chance.